More hate speech came gushing from the left when the violent political activist group Antifa targeted the home of Fox News host Tucker Carlson. According to multiple media reports, while Mr. Carlson was at work taping his nightly show, Antifa members surrounded his home and chanted violent rhetoric. One member of the group was clearly heard yelling about the use of a pipe bomb. The mob, organized by the Antifa group Smash Racism DC, posted Carlson’s Washington address online and sent a mob to his house calling him a “racist scumbag” and demanded he flee the city. Carlson, a co-founder of The Daily Caller News Foundation, was at the Fox News studio when the mob arrived at his home. Mr. Carlson’s brother, who lives nearby, received a phone call from Mr. Carlson’s wife, who was terrified and thought the incident was a home invasion. Reports state she took refuge with her children as the group pounded on the front door of the Carlson home. 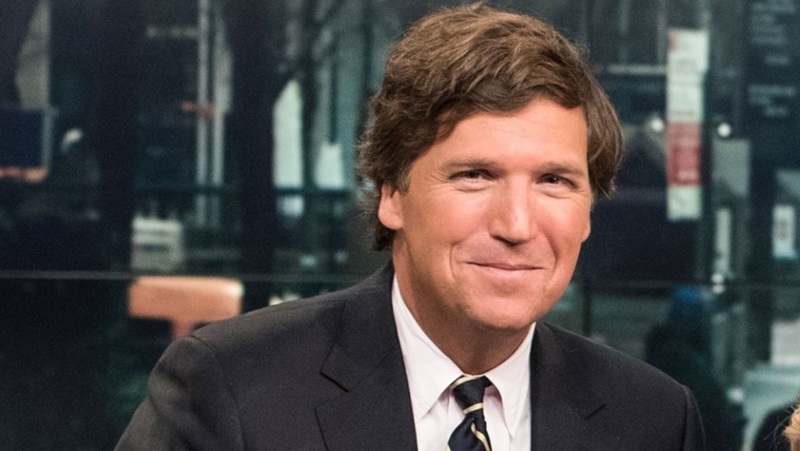 There also may be evidence that one of the mob members who surrounded Mr. Carlson’s home may have been a former guest on the highly rated Fox News show, Tucker Carlson Tonight. 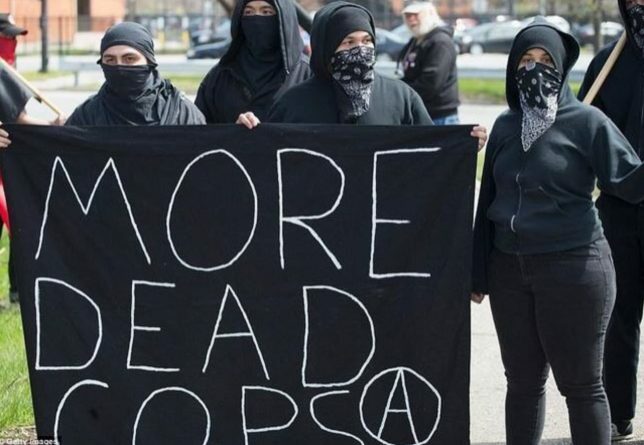 Antifa has been connected to the Socialist/Progressive/Democratic party in a number of violent confrontations with conservative speakers at numerous colleges across the country. It has been reported that some Democratic leaders gave orders to various law enforcement groups to stand down during these confrontations. This type of lawless behavior was well documented during the riots that occurred Baltimore City after the death of Freddie Gray. The below photograph displays some of Antifa’s violent anti-American rhetoric.